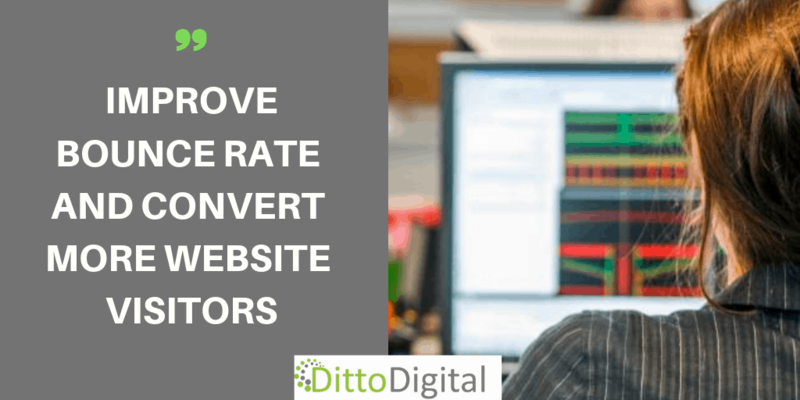 DittoDigital > Conversion Rate Optimisation > Low Conversion Rate? What Causes Poorly Converting Websites? We all know that businesses, whatever their size and industry, want more sales – that’s the whole reason for being in business after all. And one sure fire way to increase sales is to increase the traffic to your website – isn’t it? For a significant minority of businesses more visitors don’t lead to more sales. If your business website has plenty of visitors but sales haven’t grown have you ever questioned why? Do you know why your digital marketing metrics are showing increased rankings and visitor numbers but your sales are static or unpredictable? If not, you should… because you may need to think about conversion rate optimisation. No Correlation between Digital Marketing Metrics and Sales? The first main reason that visits are not converting to leads or sales is because of a poor user experience on the website as a whole or on individual key pages. Look at these metrics below – a company has good visitor numbers that have been steadily growing over the past 2 years (in fact visitor numbers have grown 240% in that time). Sales on the other hand are unpredictable and follow no expected seasonal pattern, nor do they follow the trend of increasing visits. Now look at the further metrics below – the top 2 pages have good bounce rate and visitors stay on the site and read several pages. Yet sales don’t correlate with this good user engagement. For this particular client, we investigated more closely the reason for this lack of correlation between visits and sales and it was clear that the well-engaged visitors, arriving at the website for the right search terms, had a good experience until they reached the page that should have had a clear call-to-action. On that page they were left hanging with no clear idea of how to make the next move and so left the website. How did we fix the problem of poor user experience on a single key page? We added clear calls-to-action so visitors could see immediately how to get in touch. We added a large CTA containing the phone number (clickable from mobiles for a direct connection) and a short, simple for for arranging a callback at a convenient time. We tested different locations, sizes and colours of these 2 CTAs on the page until we were confident of the most effective design and layout. This relatively quick and simple fix resulted in a 106% increase in phone calls. Another major reason that increasing visits might not be producing more sales in the expected volumes can be the result of targeting the wrong search terms. We all know that good content plays an important part in building your brand, gaining a good online reputation and ultimately increasing sales. And part of a good content marketing strategy is to educate, inform and entertain – and not to be overly promotional about products and services every time a blog post, article, video or podcast is published. But… if a content marketing stratgey is not properly targeted the result can sometimes be a website and social media network that is a popular source of information with plenty of readers and good interaction – but that in itself won’t sell products or services. In this situation a closer look at digital marketing metrics such as bounce rate will usually reveal that the majority of visitors are bypassing the selling pages with their enticing calls-to-action and heading straight for their regular fix of information and entertainment then leaving the site. Some sites can even have blog posts that far outstrip the main business pages in terms of visitor numbers – but those pages can have a poor conversion rate. Look at the 3rd and 4th row of the table below to see the difference in bounce rate on popular blog posts compared with the 1st and second row where bounce rate is low and visitors have a high buying intent. The business, in cases like these, may simply be targeting the wrong keywords and need to review their keyword research and focus more on the search terms that are likely to bring customers – not information seekers. Fortunately improving conversion rates is fairly straightforward whether it requires better targeted keywords/search terms or whether it requires a better user experience. When it comes to improving the user experience it will almost certainly require some testing of alternative page layouts, different calls-to-action etc but targeting the right keywords and creating a better user experience will increase sales. Start with an analysis of your data on one or two pages that you expect to be converting visitors. What is the Bounce Rate like, how long do people spend on the page and which pages (if any) do they look at next? 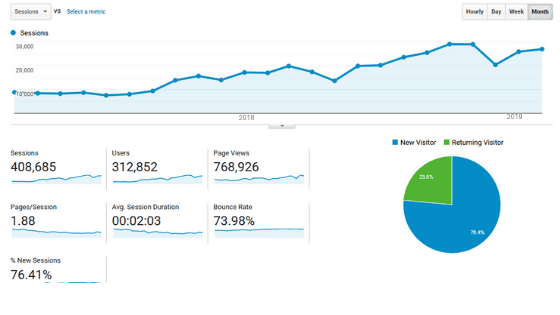 You can find all of these data in your Google Analytics account. Once you have a better understanding of these data that will help determine what improvements to the web page(s) are required. Any web page with a high bounce rate of 80% or more has something fundamentally wrong. It either doesn’t offer the information the visitor was expecting, it’s too slow or has a poor design leading to a poor user experience. Similarly if the average time spent on the page is just a few seconds this also suggests the page is not doing its job. The title and description displayed on the search listings should provide a good indication of what the visitor will find on the page. 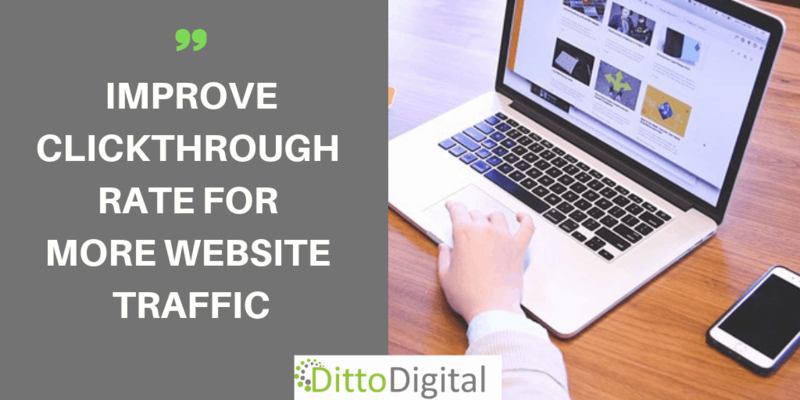 If not, modify them to more clearly state what the page is about so visitors don’t immediately leave your site. Again Google offer a free tool to check this (Page Speed Insights) so use it to check speed for both desktop and mobile searches separately. Both need to be fast and given the green light in Google’s traffic light system. If pages don’t have the green light the tool will make suggestions on how to speed up the page – these will almost always require the help of your web developer to implement. An SEO Health Check or Technical SEO Audit will also check page speed among other on-page factors that may be limitng the success of a website. Most of us are so familiar with our own websites that we often need a fresh pair of eyes to point out obvious flaws. If you can, ask someone independent (not from within the business) to make a critical assessment of the troublesome pages (or even the whole site) as a first-time visitor. Is it easy and obvious how to buy a product, register or get more information? Are phone numbers and emails prominently displayed? Is all the information someone needs readily to hand – people don’t want to have to click through several pages to find it; they will quickly lose interest. Also check the page is not overly complicated making essential information difficult to find. Use accordions or tabs to neatly tuck away long descriptions, for instance, so essential information is easier to see. A call-to-action (CTA) is simply a piece of content intended to encourage a website visitor to take a specific action like buy a product, register for more information or call up a company. The content can be an image, a simple button or even just some words within other text that are a clickable link. A CTA can be placed anywhere on a web page but is usually most effective nearer the top to ensure the maximum number of visitors see it. You can experiment with different wording, colours and location to determine which CTAs work best for your business. Simple A/B testing or more complex digital experiments can reveal accurate data about the behaviour of visitors to your site. Or call us to find out how we can help with conversion rate optimisation (see what I did there). Google have yet another free tool (Google Optimize) to help out with testing different versions of pages or different elements on the page so to assist in the CRO process.